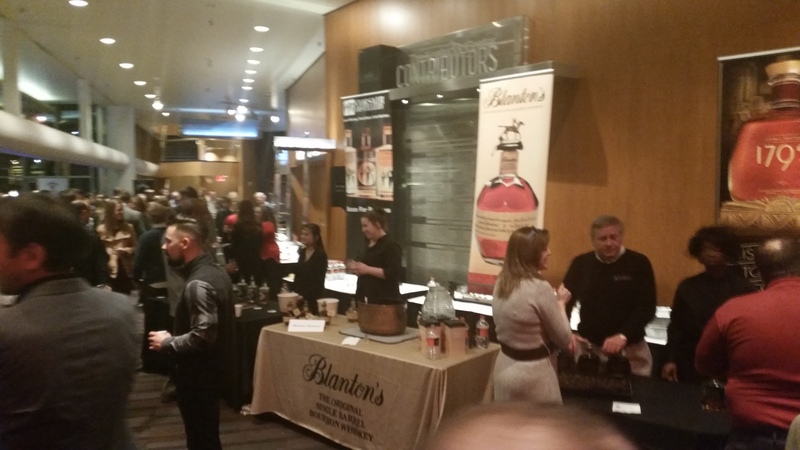 When Jen and I travelled down to Louisville last year for the Bourbon Classic, it was our first real foray into the larger bourbon culture, and the largesse of those involved (recap parts one and two here). The blog was only a few months old, and our participation and education about bourbon had come from distillery visits, reading books by Cowdery and Minnick, and personal consumption. 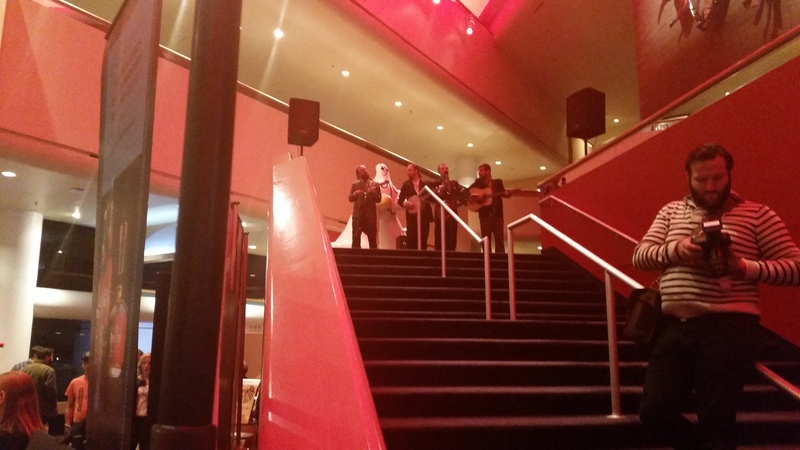 We were blown away by the awesomeness – of the event, of the people, of the culture as a whole. It kicked off a wonderful year where we made frequent trips to Kentucky: touring Four Roses, Wild Turkey, Buffalo Trace (again), Willett; visiting Louisville, Bardstown, Frankfort, Lexington; and eating and drinking at fantastic establishments. 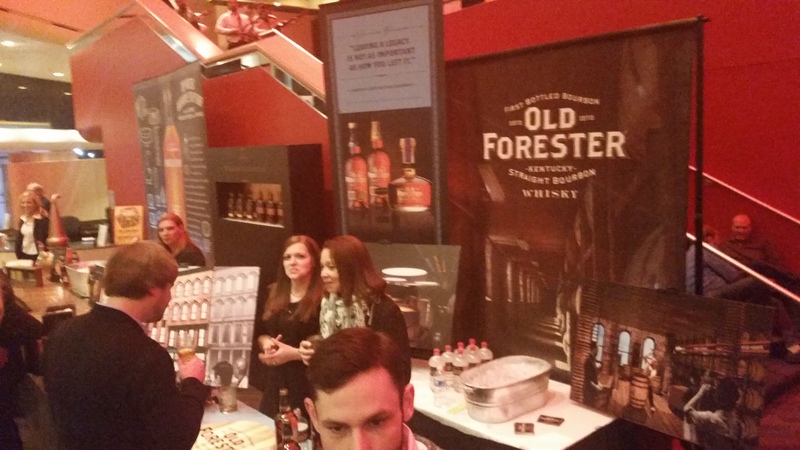 For the Bourbon Classic 2015, there wasn’t a moment’s hesitation – we were going again. This year the Classic was a little later – the end of February (instead of the end of January), and we hoped that would lead to some good weather. On that end we weren’t so lucky, and we drove into a Louisville that had been hit pretty hard by a snow storm earlier in the week. We checked in to the 21c Museum Hotel – who have the most fantastic staff of any place we’ve stayed – and geared up for a wonderful weekend. The first night of the Classic centers around a cocktail and small plate tasting. Nine bourbon labels are represented – Barton’s 1792, Buffalo Trace, Blanton’s, Four Roses, Heaven Hill, Jim Beam, Michter’s, Wild Turkey and Woodford Reserve. 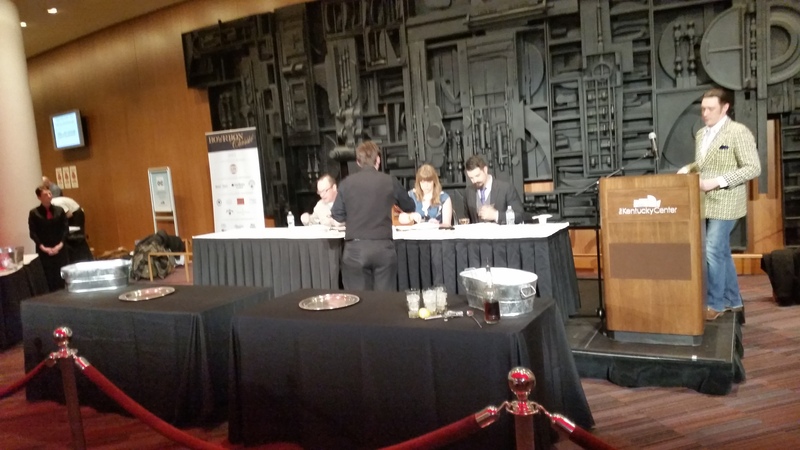 Each brand selected a mixologist and chef to prepare the tastings. We were pleased to see some of our favorite’s from last year returning, including Issac Fox of Volare and our favorite Louisville chef (and all around awesome guy), Levon Wallace of Proof on Main. The setup is simple: attendees stroll the lobby of the Kentucky Center for the Performing Arts, where participating brands, chefs and master bartenders are set up against the walls, and sample to their heart’s content. That’s right – you stroll the rooms, picking up cocktails and chef-prepared small plates as you go. It’s beautiful in it’s simplicity. Personally, I am more of a three-fingers-of-whiskey-neat guy, but these cocktails are so expertly made (and often unique), that I was happy to try many…and many more! Of particular note was the Tallulah (a peanut tasting bourbon drink), a bourbon mimosa and a bourbon/beet juice/dill cocktail. The first two I found fantastic, the last…well, it was certainly inventive. Almost every dish was fantastic. I avoided two mistakes I made last year as well. First of all, I didn’t try to chronicle every dish and drink. There is just an abundance of great stuff, and trying to write it all down is too much. Secondly, I kept my imbibing to a slower pace, to more fully enjoy the flavors of the evening. We were happy to run into some friends we had made from the last Bourbon Classic. Greg and Chris from Virginia were in attendance again, and this time they brought more of their fellow alumni with them, making it a real college reunion of sorts. We got to spend some time with Wallace (who is leaving Louisville for Nashville very soon), and I also met Eric Byford, who founded Beard Force Films and was there shooting some final footage for a documentary on Kentucky Bourbon (and it’s impact on the local culture) he has been working on. He showed me a trailer and I am certainly looking forward to it. Jen and I sampled dish after dish and drink after drink, and if the Bourbon Classic was limited to the Friday night event, it would be plenty enough reason to head down. But the event gets even bigger on day two. Admittedly, we skipped the first “Bourbon Classic University” session of the day to do a bit of bourbon hunting and get a good brunch (Toast on Market!). The goal was to get good seating in the auditorium for the second session: The Bourbon Masters General Session. The list of distillers that would be present was impressive, and it was MC’ed by Fred Minnick. 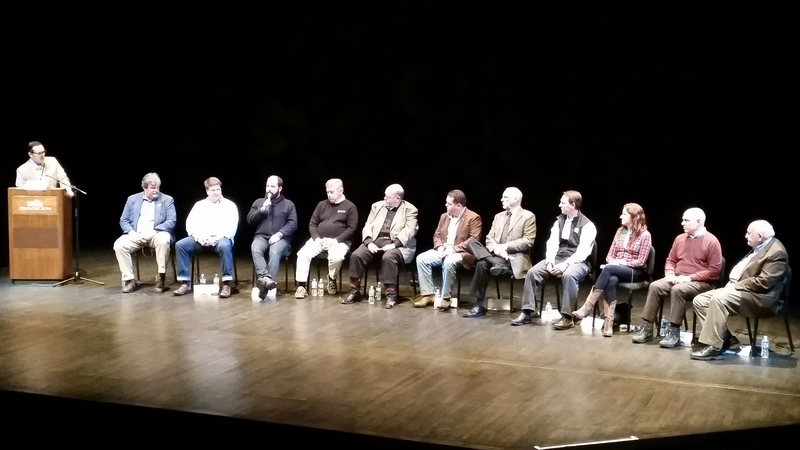 The Legends of Bourbon: (left to right) Fred Minnick, Mark Coffman (Alltech), Wes Henderson (Angel’s Envy), Chip Tate (Tate & Co/Balcones), Ken Pierce (1792), Fred Noe (Jim Beam), Harlen Wheatley (Buffalo Trace), Jim Rutledge (Four Roses), Denny Potter (Heaven Hill), Nicole Austin (King’s Country), Joe Magliocco (Michter’s), Jimmy Russell (Wild Turkey). 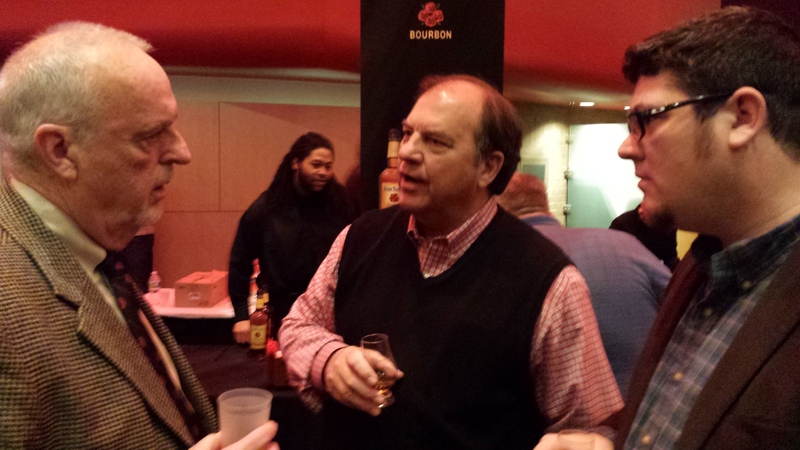 Last year, the Master’s session was a genial celebration of bourbon’s rise in popularity. Anytime you get many of the more long-time distillers around each other – Russell, Noe, Rutledge and even Wheatley and Henderson – you are going to get funny anecdotes and good natured ribbing. While the mood and spirits stayed high this year, however, Minnick asked a little more probing questions. Right off the bat, a highlight was the presence of Texan Chip Tate. Last year, Tate seemed to be the talk of the whiskey world, as he fought with investors over the future of the distillery he founded – Balcones. The debate about craft versus investment swirled around the proceedings, while headline grabbing words like ‘gunplay’ and ‘banished’ abounded. Since then Tate has left Balcones and started a new distillery, and this was the first time he spoke to the public. Settlement agreement in place, there wasn’t a whole lot of detail Tate could go into regarding the saga, and he downplayed the media accounts. That said, he did talk about the difficulties with reconciling the spirit of craftsmanship with the drive of commerce, as well as say that many of the facts that he was accused of by the Balcones board simply were not true. He is looking forward to producing brandy, and after the non-compete agreement expires, whiskey, under his new name of Tate and Co.
A few other edgy topics were discussed. 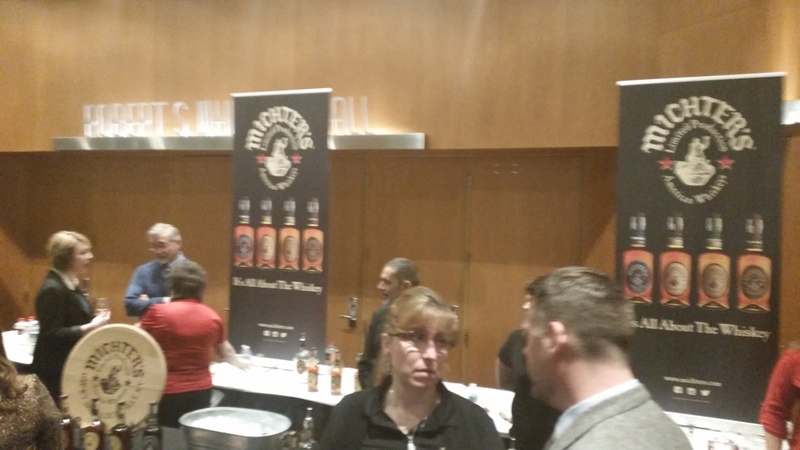 Henderson and Magliocco were asked about ongoing lawsuits against ‘sourced’ whiskeys and label information (Magliocco refused to comment, but Henderson spoke openly about how he finds them frivolous and unethical, equating the lawyers involved as whiskey ambulance chasers). The popularity of flavored whiskey was talked about. Russell was proud to say that when he pushed Wild Turkey to start offering flavored drinks in the 70s/80s, he was well ahead of his time. Wheatley – who’s Buffalo Trace is owned by Sazerac, makers of Fireball Cinnamon Whiskey – pointed out that it was made from Canadian whiskies (not bourbon), and those sales helped him finance Buffalo Trace experimental offerings. Rutledge said Four Roses wouldn’t offer flavored whiskey as long as he is the master distiller, and Magliocco warned that flavoring whiskeys could lead down the path taken by vodka in the last 15 years, where flavors and gimmicks made the spirit itself lose credibility. Other topics included the “whiskey shortage” (consensus opinion – if you are a distiller, there is none. If you are sourcing, good luck! ), new products, and the rise of women in bourbon demographics. This last one was a bit sticky – Nicole Austin, from King’s County Distillery in Brooklyn, New York, was the only woman on the panel, and her…annoyance…with being asked about being a ‘woman’ in whiskey (rather than a person in whiskey) was funny and well received. Further questions got a little more tense, as they discussed marketing whiskeys to women, and it became harder to tell if Austin, whose distillery is the first post-prohibition distillery in Brooklyn, was seriously upset or just sarcastically funny. Either way, the session ended jovially, and we kept our seats for the second session, a “Bourbon Icons” discussion with Noe, Russell, Rutledge and Freddie Johnson, tour guide extraordinaire of Buffalo Trace, who told of his family’s three-generation deep involvement in the Kentucky Bourbon industry. 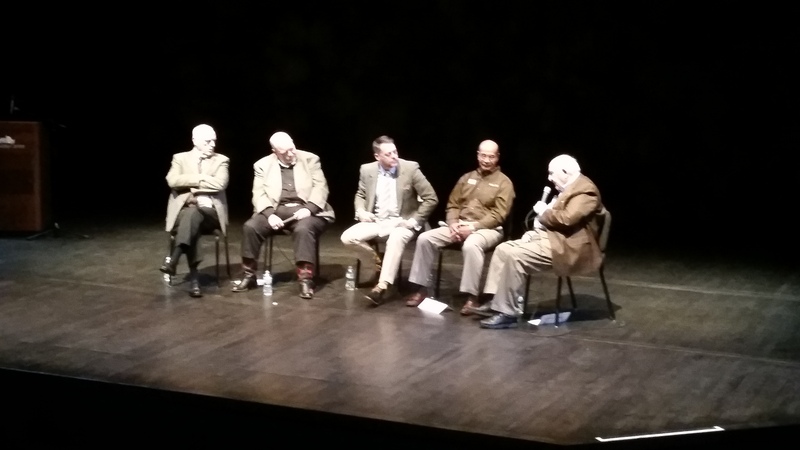 It was a captivating hour with four true legends – all of whom shared stories, and a few jokes. Finally, the main event. 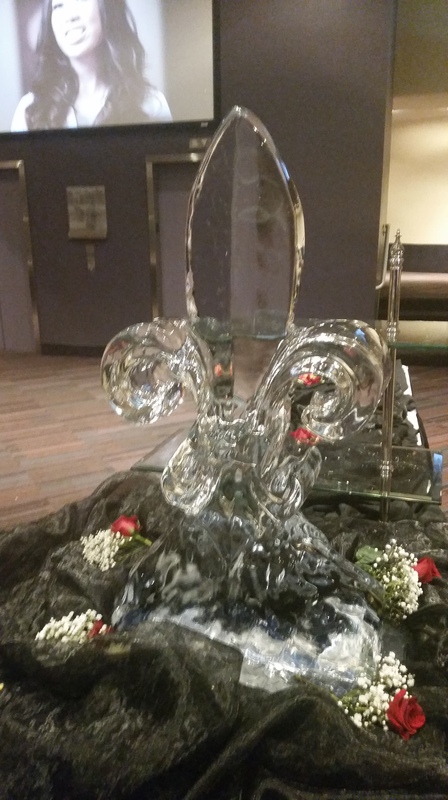 Tables upon tables of fine bourbon – neat, on the rocks or with a splash of water. Again, there were again small plates as well as a buffet style presentation and, while a bluegrass band played from atop the stairs, the goal was to stroll and sample. …and sample we did. Saturday has more varieties than Friday, with Jefferson’s Reserve, Old Forester, King County, Bulleit, Copper and Kings, Angel’s Envy and others joining the festivities. The distillers were mingling as well – I spoke with Jim Rutledge for quite some time about the difficulties resuscitating the Four Roses name in the Untied States after Seagrams had almost destroyed it. Jen spent some time laughing with Wes Henderson about his irreverent sense of humor (always a point winner with my wife). When Greg and Chris let us know Heaven Hill was pouring its Parker’s Heritage Wheat Whiskey, we made a beeline there, and each enjoyed sips of one of our favorite drinks of 2014. Many more drinks followed, and by the time we retired at 9:30, another fantastic Bourbon Classic was put to bed. Let the countdown to 2016 begin!